Bryan and Sharon Cooper were on the run for robbing a bank when the boat they was hiding out on broke down in Pascagoula on Aug. 12, 1983. George Wilson, who worked part-time as a night watchman, loaned Bryan some tools, but Bryan couldn't fix it and abducted Wilson.Bryan placed George in the back of his car. Bryan and Cooper then drove him to Santa Rosa County in Florida's Panhandle where the three stayed in a motel. Leaving the motel, Bryan drove George to a secluded spot in the woods. He marched George, with his hands tied, at gunpoint to a spot beside a creek. Bryan knocked George over the head with the shotgun and as he fell into the creek, Bryan shot him in the face. While awaiting trial, he escaped but was recaptured 15 months later. At trial Cooper was the state's chief witness. On May 27, 1983, Anthony B. Bryan robbed a bank in Grand Bay, Alabama with a sawed-off shotgun. He was not caught after the crime and spent the next three months as a fugitive from the law. In June 1983, Bryan met Sharon Cooper in Jacksonville, Florida and the two hitchhiked to Mississippi. After obtaining a truck in Mississippi, they drove back to Florida, stopping en route to retrieve the sawed-off shotgun that Bryan had used in the bank robbery. In Florida, Bryan obtained a cabin cruiser in order to travel back to Mississippi. The boat became damaged and Bryan and Cooper stopped in Pascagoula, Mississippi to make repairs. Bryan borrowed tools from George Wilson and unsuccessfully tried to repair the boat. Needing transportation and money, Bryan robbed George at gunpoint and tied him up for the night. Bryan then took George's keys and robbed the seafood wholesaler where George worked as a night watchman. After returning from the seafood wholesaler, Bryan placed George in the back of his car. Bryan and Cooper then drove him to Santa Rosa County where the three stayed in a motel. Leaving the motel, Bryan drove George to a secluded spot in the woods. He marched George, with his hands tied, at gunpoint to a spot beside a creek. Fearing for his life, George pleaded that he not be crippled. Bryan knocked George over the head with the shotgun and as he fell into the creek, Bryan shot him in the face with the sawed-off shotgun. Bryan then pushed his car into a nearby river. In August 1983, Bryan and Cooper were arrested in Madison County, Florida for driving a stolen car. Following her release, Cooper went to offices of the FBI to report that Bryan had robbed, kidnapped, and murdered George Wilson. After being arrested by authorities, Bryan escaped from the Santa Rosa County jail in July 1984. He was re-arrested in Colorado in October 1985. At trial for the murder of George Wilson, Cooper was the state's chief witness. A jury convicted Bryan of first-degree murder, robbery with a firearm, kidnapping with a firearm, and felony murder. At the sentencing, Bryan called seven witnesses to testify on his behalf; including his mother, grandmother, ex-wife, a co-worker, and people who knew Bryan when he was a fugitive between July 1984 and October 1985. Bryan also introduced written reports prepared by four separate mental health experts as well as the deposition of a psychiatrist. The jury returned an advisory sentence of death. On May 16, 1986, Judge Wells accepted the jury's recommendation, finding numerous aggravating factors and two mitigating factors, and sentenced Bryan to death. Anthony B. Bryan was convicted and sentenced to death for the August 12, 1983 murder of George Wilson. On May 27, 1983, Anthony B. Bryan, armed with a shotgun, robbed a bank in Grand Bay, Alabama. He escaped from the crime scene, and a few days later met Sharon Cooper. The two traveled around together and ultimately went by boat from Gulf Breeze, Florida to Pascagoula, Mississippi, where the boat motor was damaged and the two had to stop. There, on August 12, 1983, they met George Wilson, a 60-year old night watchman for seafood wholesaler in Pascagoula. Bryan borrowed tools from Mr. Wilson in an unsuccessful attempt to fix the boat motor. Bryan then approached Mr. Wilson, and using the shotgun, robbed him of his keys and wallet, tied him up, and placed him in the back seat of his car. Bryan and Cooper then took Mr. Wilson to Santa Rosa County, Florida for a short stay in a motel. Later that morning, George Wilson was driven to an isolated area where, with his hands tied, he was marched at gunpoint to a creek. Mr. Wilson, fearing for his life, asked that he not be crippled. Bryan struck Mr. Wilson in the back of his head with the shotgun and, when he fell into the creek, killed him with a single shotgun blast to the face. Bryan then hid Mr. Wilson's car and resumed his travels with Cooper until arrested in Madison County, Florida in late August 1983. Bryan was indicted for premeditated first degree murder, kidnapping, and armed robbery of George Wilson. Prior to his trial, Bryan escaped from the Santa Rosa County jail. He was recaptured, tried and convicted for the Alabama bank robbery, and later convicted for the first degree murder, kidnapping, and armed robbery of George Wilson. The jury recommended the death penalty. On May 16, 1986, Judge Clyde Wells sentenced Bryan to death for the murder of George Wilson. On September 22, 1988, the Florida Supreme Court upheld the sentence of death upon Anthony Bryan and, on April 17, 1989, the U.S. Supreme Court denied certiorari. 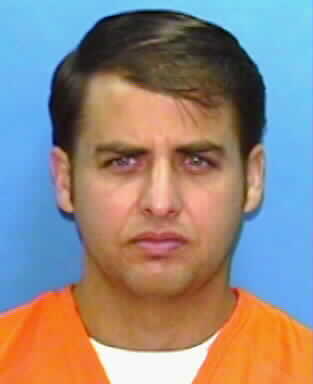 Bryan's requests for post-conviction relief were denied by the Florida Supreme Court on June 16, 1994. Bryan subsequently petitioned the United States District Court for the Northern District of Florida for habeas corpus relief, which was denied on July 9, 1996. On February 22, 1999, certiorari by the United States Supreme Court was denied. On December 6, 1989, Bryan's case was heard before the Clemency Board, and Executive Clemency was determined not to be appropriate. This is the second warrant for Anthony B. Bryan. Governor Bob Martinez signed a death warrant in this case on August 28, 1990. A man who murdered a night watchman with a shotgun in 1983 died by lethal injection Thursday in Florida's 2nd use in 2 days of that method of execution. One-time fisherman Anthony Bryan, who became a born-again Christian while on death row, died at 7:11 a.m., said the Tallahassee office of Gov. Jeb Bush. That was almost exactly 24 hours after Terry Melvin Sims became the 1st condemned inmate to die by chemical injection in a state that had used electrocution for 76 years. Bryan, 40, was sentenced to die for the slaying of George Wilson, 60, a night watchman abducted from his job at a seafood wholesaler in Pascagoula, Miss. Bryan's family members, including his 16-year-old son Bradley, his aunt Levonne Dykes and his sister, Cynthia Tucker, kept vigil in the chilly, foggy dawn outside the prison for the second day. Shortly before the deadly procedure began at 7 a.m., Bryan gave his final statement. "I confess Jesus Christ is the Son of God, and I have put my faith in Him. I believe in the resurrection," he said. "I would like to thank those who stood by me the 13 years I was on death row. ... No matter what you do in life, God can make a difference. He has made a difference in mine. You can always be redeemed. I thank you." At 7 a.m., the prison warden nodded to the executioner, concealed behind a one-way mirror, and lethal chemicals began to flow through tubes leading to Anthony's arms. A minute later his eyes rolled back, then quickly glazed over. He appeared to breathe his last at 7:03 a.m. They were joined by about 50 anti-death penalty protesters. They performed a memorial service that they said Bryan wrote. They sang hymns, lit candles and quoted from the Bible. "If we look to God it will all work out," Bradley Bryan said. Also at 7 a.m., the time the execution was set to begin, several of the protesters and family members hugged and some sobbed as they looked at the shroud of fog hiding the prison. Late Wednesday, Bryan had calmly finished most of his last meal. Bryan's execution comes a day after Sims, 58, died still professing his innocence in the 1977 slaying of a Seminole County volunteer deputy sheriff. Bryan said at a death row news conference on Tuesday that he didn't know what happened when Wilson was killed and doesn't think he should be executed for the crime. But he said his religion was giving him comfort. "I don't want to die, but I know dying is not the end," Bryan said. Bryan was on the run for robbing a bank when the boat he was hiding out on broke down in Pascagoula on Aug. 12, 1983. Wilson loaned Bryan some tools, but Bryan couldn't fix it and abducted Wilson to rural Santa Rosa County in Florida's Panhandle. There, he killed Wilson with a shotgun blast to the face. While awaiting trial, he escaped but then was recaptured. Bryan's attorneys argued that his trial attorney was an alcoholic who failed to represent Bryan properly. The Florida Supreme Court turned down his final appeal Tuesday, as did the U.S. Supreme Court late Wednesday. In October, Bryan's execution was postponed when the U.S. Supreme Court agreed to consider the constitutionality of electrocution. That action was rendered moot last month when the Florida Legislature, meeting in special session, approved allowing condemned inmates the option of lethal injection. The Florida Catholic Conference asked Bush to halt Bryan's execution. "Executions coarsen us. We daily condemn the violence around us but executions must be seen for what they are, legitimized killing by the state," the group said in a Wednesday letter. Bush said he expected lethal injection would survive any legal challenges. "It's been an accepted means of execution," the governor said after Florida joined 34 other states that have used the method. Bryan becomes the 2nd condemned prisoner to be put to death this year in Florida and the 46th overall since the state resumed capital punishment in 1979. Bryan also becomes the 17th condemned prisoner to be put to death this year in the USA and the 615th overall since America resumed executions on Jan. 17, 1977. The 1983 murder of George Wilson was a heinous crime and we express our sincere sympathy for his brutalization and loss of life. Anthony Bryan is scheduled to die on Thursday morning for this crime. Again, we ask our Governor to halt this execution. The added violence of this execution will not be helpful to our society. Executions coarsen us. We daily condemn the violence around us but executions must be seen for what they are, legitimized killing by the state. We send a message by these killings; they say more about us as a people than those who are being punished. Executions perpetuate the cycle of violence and feed an underlying sense of vengeance in our culture. Life in prison without opportunity for parole is available as Florida's alternative, allowing society to protect itself, and allowing criminals the chance to reform. We are a government of, for and by the people. These executions are not in our name. Bryan, 40, was sentenced to die for the slaying of George Wilson, 60, a night watchman abducted from his job at a seafood wholesaler in Pascagoula, Miss. Bryan's family members, including his 16-year-old son Bradley, his aunt Levonne Dykes and his sister, Cynthia Tucker, kept vigil in the chilly, foggy dawn outside the prison for the second day. Shortly before the deadly procedure began at 7 a.m., Bryan gave his final statement. "I confess Jesus Christ is the Son of God, and I have put my faith in Him. I believe in the resurrection," he said. "I would like to thank those who stood by me the 13 years I was on death row. ... No matter what you do in life, God can make a difference. He has made a difference in mine. You can always be redeemed. I thank you." At 7 a.m., the prison warden nodded to the executioner, concealed behind a one-way mirror, and lethal chemicals began to flow through tubes leading to Anthony's arms. A minute later his eyes rolled back, then quickly glazed over. He appeared to breathe his last at 7:03 a.m.
Bryan's execution comes a day after Sims, 58, died still professing his innocence in the 1977 slaying of a Seminole County volunteer deputy sheriff. Bryan said at a death row news conference on Tuesday that he didn't know what happened when Wilson was killed and doesn't think he should be executed for the crime. But he said his religion was giving him comfort. "I don't want to die, but I know dying is not the end," Bryan said. Bryan was on the run for robbing a bank when the boat he was hiding out on broke down in Pascagoula on Aug. 12, 1983. Wilson loaned Bryan some tools, but Bryan couldn't fix it and abducted Wilson to rural Santa Rosa County in Florida's Panhandle. There, he killed Wilson with a shotgun blast to the face. While awaiting trial, he escaped but then was recaptured. Bryan's attorneys argued that his trial attorney was an alcoholic who failed to represent Bryan properly. The Florida Supreme Court turned down his final appeal Tuesday, as did the U.S. Supreme Court late Wednesday. In October, Bryan's execution was postponed when the U.S. Supreme Court agreed to consider the constitutionality of electrocution. That action was rendered moot last month when the Florida Legislature, meeting in special session, approved allowing condemned inmates the option of lethal injection. The Florida Catholic Conference asked Bush to halt Bryan's execution. "Executions coarsen us. We daily condemn the violence around us but executions must be seen for what they are, legitimized killing by the state," the group said in a Wednesday letter. Bush said he expected lethal injection would survive any legal challenges. "It's been an accepted means of execution," the governor said after Florida joined 34 other states that have used the method. Anthony Bryan - Court Opinions; Transcripts of Arguments; Anti-Death Penalty Rhetoric. "Killer Avows Faith, Dies by Injection," by Lise Fisher and Karen Voyles. (February 25, 2000) STARKE -- Inside the execution chamber, only Anthony Bryan's head was visible from underneath a white sheet as he lay strapped to a gurney. Beneath the linen, bandages wrapped around his hands kept his palms extended so he couldn't clench his wrists or bend his arms to slow his circulation. Florida State Prison Warden James Crosby nodded, signaling the injection's start at 7 a.m. The executioner, out of sight behind a one-way mirror, pushed a plunger activating a chemical flow of anesthetic, muscle relaxant and a lethal dose of potassium chloride through an intravenous line stuck in Bryan's arm. Bryan, who was given a Valium about an hour earlier, looked at the ceiling, seemed to smile, then his blue eyes rolled back and glazed over. His chest stopped moving about six minutes later. His eyes appeared to stay open throughout the procedure, even as the lids drooped lower and his face grew slack. At 7:11 a.m., a doctor pronounced Bryan dead. Only the muffled noises of voices and activity outside the witness room broke the silence inside it. Convicted for killing a night watchman, Bryan became the second person in two days to die by lethal injection inside the state's execution chamber at FSP. Bryan, 40, a former commercial fisherman who became a born-again Christian on Death Row, didn't talk about his guilt or innocence but gave a final statement early Thursday full of praise for God and thanks for his family, friends and attorneys. "I confess, Jesus Christ is the son of God, and I have put my faith in him," Bryan said in a clear voice. His face was turned toward the execution witnesses, including his spiritual adviser, Gainesville Rev. Glenn Dickson, and his attorney, Gregory Smith, Capital Collateral counsel for the Northern Region of Florida. "I'd like to thank those who stood by me the 13 years I was on Death Row . . . I would just like to say no matter what you do in life, God can make a difference in your life. He has made a difference in mine. You always can be redeemed. I thank you." Bryan was sentenced to death for shooting George Wilson, 60, who was kidnapped from his job at a seafood wholesaler in Pascagoula, Miss., in 1983. Bryan was on the run for robbing a bank when he abducted Wilson after the watchman loaned him some tools to fix ahis boat. Wilson was shot once in the face with a shotgun while lying on his back in a creekbed in Santa Rosa County in the Florida Panhandle. Bryan'sHis appellate attorneys had argued that hisBryan's trial attorney was an alcoholic who didn't properly represent Bryan. Like Terry Melvin Sims' execution Wednesday, state officials said Thursday's death by needle went flawlessly. Sims, 58, became the first inmate in Florida's history to be executed by chemical injection. After the doctor's pronouncement at the chamber, a drape was pulled over the room's window, obscuring witnesses' view. To protect the identity of the execution team, witnesses do not see them preparing an inmate for execution. Two stoic correctional officers, Crosby and an assistant warden could be seen inside the room with Bryan. The mirror and brown drape hid heart monitors, the execution team, a physicians assistant and the doctor. Corrections Secretary Michael Moore and Deputy Secretary Michael Wolfe also watched the execution from behind the concealed partition. Across the road from FSP, more than a dozen of Bryan's relatives gathered with about 50 death penalty opponents for a prayer vigil that Dickson helped Bryan plan. The night before, Bryan ordered a last meal of dolphin fish with teriyaki sauce, brown rice with onions, chef salad with thousand island dressing, asparagus, apple pie with vanilla ice cream, Coca-Cola and whole milk. Dickson said he stayed with Bryan until 5 a.m. Thursday, talking about Bryan's family and the scriptures. Bryan and Dickson washed each other's feet as Jesus did with his disciples, he said. "Why was Tony killed? Because our governor is deeply afraid of being labeled soft on crime," Dickson said after the execution. "He's planning to kill many more. His administration will be the bloodiest in the history of our state." On the ground near the center of the opponents' circle was a bright red, crocheted mat and a small pink crocheted pig. Bryan made both of those. Crocheting and reading were the two things he learned during his 13 years inside prison. A skill he took into prison with him was singing. Near the end of Thursday's vigil, Bryan's family and friends sang "Amazing Grace," the same song that Bryan sang with his family during their last visit late Wednesday. "He was the singer in the family," said Bryan's mother, Joan Johns. Within hours of her son's execution, Johns and other family members were making plans for his funeral and burial in Salt Springs near her home. "He had a lot of this all planned out," Johns said. "Instead of worrying about himself, he was worried about being able to see us again. In heaven." Bryan's sister, Debby Manansala of Chiefland, said her brother's faith remained unshaken even hours before his execution. " We went in to that last visit to support him, and it wound up that we drew our strength from him," Manansala said. "I just hope that what has happened to him is not in vain. I hope that someone -- some politician somewhere -- learns from this and will stand up and say 'no more' to the death penalty." Despite the horror of knowing the date and hour and place of their brother's death, Manansala and her stepsister, Cynthia Henry, praised the men and women responsible for carrying out the execution. "The staff here at FSP have been the best people in the world about this," Henry said. "They have been so good to our family in this trying time." "Last night some of them cried a little with us when our last visit was over," Manansala said.